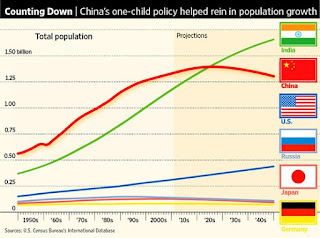 If you don't keep an eye on the second and third order effects of Chinese demographics, start. Nothing "breaking news" - but like a slowly retreating tide, you can't ignore it and it effects everything around it. 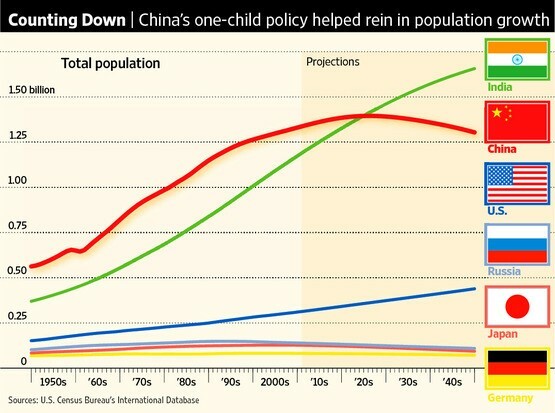 China's population is set to peak at 1.44 billion people in 2029 — but it then faces a long period of "unstoppable" decline, government scholars have warned. The world's most populous country must now draw up policies to try to cope with a declining labour force and a rapidly ageing population, according to a summary of the latest edition of the Green Book of Population and Labour published by the China Academy of Social Sciences (CASS). Note the timeline - the end of the Terrible 20s. China is not alone in this challenge. Indeed, led by Japan, all of East Asia is feeling it. Europe is feeling it. Most of the developed world is. The USA, not to the same degree due to a different fertility rate and approach to immigration. Declining population is something not seen in the modern era.